Gain skills to determine consumer needs and transform them into profitable opportunities. Brenau University’s online bachelor of business administration in marketing strengthens your ability to attract and keep both consumers and clients. In this four-year program, you’ll apply the theories you learn in the classroom to the tasks and challenges you face every day at work. Real-world relevance is part of our commitment to providing you a high-quality marketing degree you can be proud of. In the online B.B.A. in Marketing program, you’ll gain solid business fundamentals through our general Bachelor of Business Administration curriculum. Then, you’ll take classes specific to marketing to complement your core business courses – and you’ll still graduate in the same amount of time. 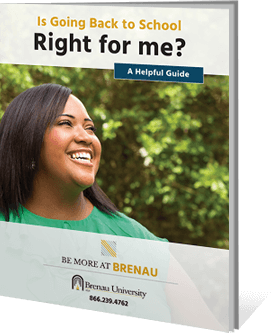 Even if it’s been a while since you’ve attended school, you can succeed at Brenau. Our number-one priority is providing easy access to quality education so you can improve your life and achieve your career goals. Take advantage of resources like our professional tutoring program, academic coaching and our writing center – all of which serve online students. In addition to the core B.B.A. curriculum, you’ll take the following marketing courses to complete your degree.